A1 Matrix No. : 1579-MB Artist: Miss Julia Title: Siti Zubaidah - karangan B1 Matrix No. 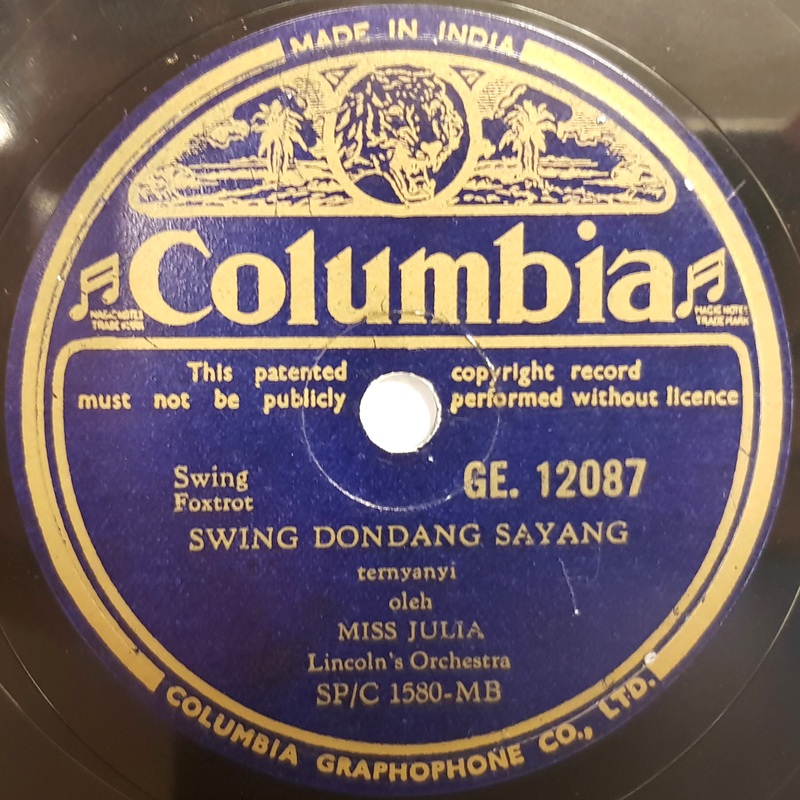 : 1580-MB Artist: Miss Julia Title: Swing Dondang Sayang - swing foxtrot Both songs on this record were performed by Miss Julia, a popular local Malay singer. Miss Julia was born in Singapore and adopted by European parents, who named her Julia binte Abu Bakar. Although she loved singing from a young age, she only began a professional career in 1932 after some persuasion from her husband. Miss Julia, then 22, shot to fame after the release of her first record. She began touring Malaya and the Dutch East Indies, and was known as the "Sophie Tucker of Malaya" after the famous American singer. The song 'Swing Dondang Sayang' is of particular interest as it shows the influence of jazz in Southeast Asia in the late 1930s to early 1940s.